Saturates the body with useful macro-and micronutrients and absorbs harmful, not only does water drinking, and the new generation. Use at 150g shungite 2-3L of water. Before first use, wash shungite several times under running water. Infuse for 3 days before the disappearance of turbidity. As you pour the water consumption. For drinking, cooking, and also for cosmetic and other purposes. Shungite - The secret of Nature and History. We are very pleased and proud to have the honor to present to you the healing shungite invincible force that experienced by our ancestors. SHUNGITE - oldest uglerodosoderzheschy mineral on the planet. Unlike diamond and graphite shungite has an unusual carbon matrix. The molecules of the carbon in their structure like a soccer ball and called fullerenes. Karelian schungite occur in the most ancient layers of the earth's crust, which are more than 2 billion years. The high concentration of these fullerenes suggests their cosmic origin. The same extraterrestrial fullerenes were found in meteorites. The importance of the discovery of fullerenes is the fact that a group of British scientists in 1998 was awarded the Nobel Prize. Today, the use of artificially synthesized fullerene is limited due to their high cost, more than $ 900 for 1 gram, so they are mainly used in the fields of high technology - space, medicine and computers. The discovery of natural fullerenes in Kareli shungite was a sensation. This is the only thing on earth deposit fullerene shungite, which has a truly unique qualities. It was found that the interaction with water shungite gets curative qualities. It structures the water, making it biologically active. This water, having energy-matrix shungite becomes WATER NEXT GENERATION. It helps you work all biological structures of the body, not suppressing healthy cells. Fullerene was the most potent and long-acting anti-oxidant. Shungite water multifaceted effect on the body. It has analgesic and anti-inflammatory. 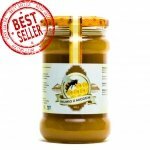 Its unique antibacterial properties, a staunch anti-histamine effect. Thanks to its healing properties Shungite water helps treat a variety of inflammatory diseases, allergic, viral, skin, joint, metabolic diseases, namely as a drink - gastritis, colitis, common cold (flu, bronchitis), gall-and kidney disease, diabetes mellitus, , arthritis. Helps restore the immune and energy status in chronic fatigue syndrome. Proved that buckyballs hinder the emergence and development of atherosclerosis. No less interesting fact: Shungite water relieves hangovers. 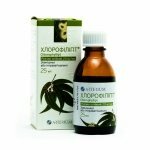 As lotions - ulcers, vyalozazhivayuschie wounds, sores, boils, psoriasis, atopic dermatitis. Perfectly relieve burns! This water has a rejuvenating effect. Daily washing increase elasticity and skin tone, eliminate the wrinkles, flaking, edema. Fullerenes shungite restore the dermal matrix accelerate tissue regeneration. Very useful for washing and youthful acne. Thus, shungite revive the youth and beauty of the skin. A rinsing with water, strengthens hair roots and prevents hair loss and makes them shine and silkiness. Shungite - universal sorbent. By the ability to purify water of contaminants SHUNGITES no equal. It absorbs on the surface up to 95% of contaminants, removes turbidity and spring water makes water taste. Shungite water removes heavy metals, colloidal iron water pipes, nitrates and nitrites, pesticides, dioxins, phenols, hloroorganicheskie compounds, petroleum products, radionuclides, the eggs of worms, viruses, and bacteria. Simultaneously saturates the body with useful micro-and macro-elements, absorbing harmful. With great effect Shungite water is used to rinse the throat, mouth, nose, with angina, periodontal disease, rhinitis. About the amazing properties of schungite been known in Russia for a long time, just do not call him shungite and slate stone (remember in the Bible?). Noblewoman Xenia Ivanovna Romanova was exiled Boris Godunov in Over-Onega, where she was destined to die, but on the advice of local farmers began to drink water from the miraculous power and swim in it, then not only recovered, but also gave birth in 1596, the future king- founder of the Romanov dynasty - Mikhail Fedorovich. Peter I, suffering from kidney stone disease, scurvy, digestive disorders, and experienced the great power of slate stone, has issued a decree: to wear a stone to each soldier. Poltavabattle was won by the Russian Army in part because of this stone. Summer 1709 was a dry, water "bloom." Swedish Army, including King Charles XII, suffered from intestinal disorders and quickly lost fighting form. Russian soldiers on the orders of a king drank only insisted on slate stone water. Staying healthy, the Russian army crushed the Swedes. Later, in 1719, on the site of the healing power by order of Peter built the first Russian resort "Marcial Waters", named in honor of the God of War - Mars. The world is facing the problem of industrial pollution. Most countries in Western Europe, America no longer use the water from the tap. Not surprisingly, the Karelian shungitzakupayutNetherlands, Norway, etc. This water was truly a new generation of water. It owes so healing properties shungite, for which he is justly esteemed ancestors. In addition to drinking schungite water saturated with globular carbon useful in cosmetics. It is an alliance of recent advances and wisdom traditions. It stimulates the right balance of cellular metabolism. Tired and faded leather with traces of time on it, reborn. Shungite water for many centuries bestowed Russian women silky skin. For people suffering from joint disease (arthritis, gout, rheumatism) is very effective Shungite paste that reduces pain, inflammation and swelling of the joints, improves blood circulation and trophic tissue. Pouches with shungite placed on the joints or back, relieve pain and restore movement with radiculitis, osteochondrosis, arthritis. Schungite foot massage (trampling on gravel), which is based on the impact on the reflex zones, relieves pain and fatigue in the legs, improve circulation and sleep, charges positive energy and has a positive effect in diseases of the spine. After the bath with water schungite becomes lightheaded, purification of energy channels. Such bath relieves irritation and stress, relaxing body wraps tenderness. 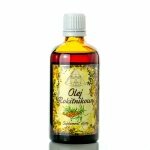 Very useful for people suffering from sciatica, osteochondrosis, joint and skin diseases (psoriasis, eczema, dermatitis). It is no secret that the highest percentage of cases of leukemia and cancers occur in people living in geopathic zones. In the West, the industry is highly developed means of protection from radiation. Today we can say with certainty that of all the known means of the most powerful protection from radiation in geopathic zones is natural Zhung. With its high potency, natural schungite carbon can weaken electromagnetic energy without distorting the magnetic field of the Earth. He escapes the most powerful beams. For these purposes, schungite pillows, bags, mattresses. It is useful to water potted plants and vegetable crops with water of a new generation. In gratitude to the man they improve productivity and become healthy. Especially like Shungite water animals. Of the two bowls of water, preference will be given to it schungite. Animals suffer from the same diseases as people, so Shungite water they also need. It prevents the formation of stones, eliminate itching, flaking, allergic reactions, and improves the quality of hair, strengthens bones and teeth, protects against infectious and parasitic diseases. Before first use wash shungite several times under running water. Insist in the water at a ratio of 1:15 -1:20 for 3 days before the disappearance of turbidity. As you pour the water consumption. Periodically wash water from shungite deposited coating. 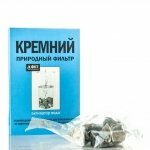 - Shungite 500g: for drinking and cooking, for cosmetic purposes, bath (real package of 7-10 liters of water for 3 days, then added to the bath with normal water. Take baths enough 2 times a week). It must be remembered that, in time of fullerenes that go into the water decreases, which leads to a weakening of the healing properties of shungite. It is therefore desirable to 1 every 2-3 months. Filling filter change.